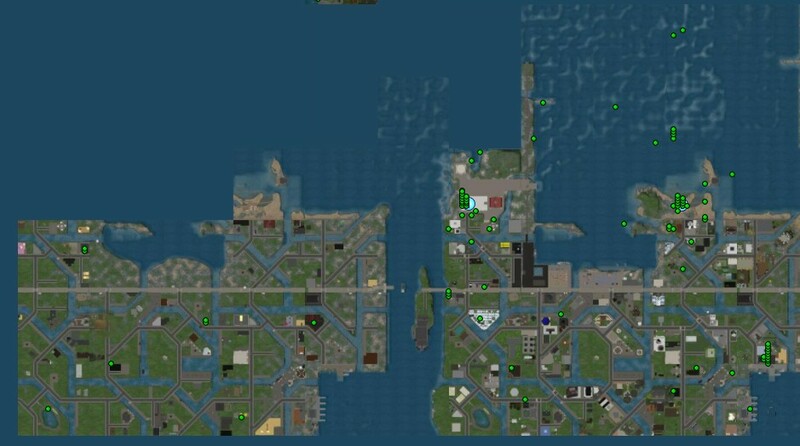 First Mole Project Hits the Decade Mark. 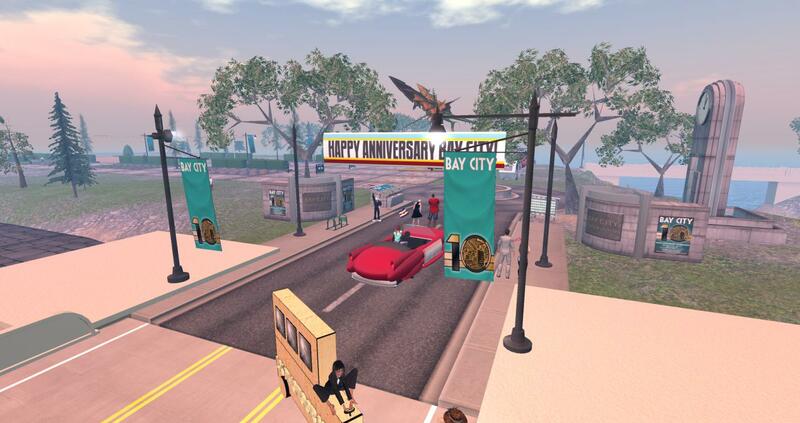 Bay City, the first project undertaken by the Moles of the Linden Department of Public Works, turns ten years old this May, and in honor of this achievement, residents of Bay City will once again host an annual parade through the city, followed by a live music event in the Bay City fairgrounds. 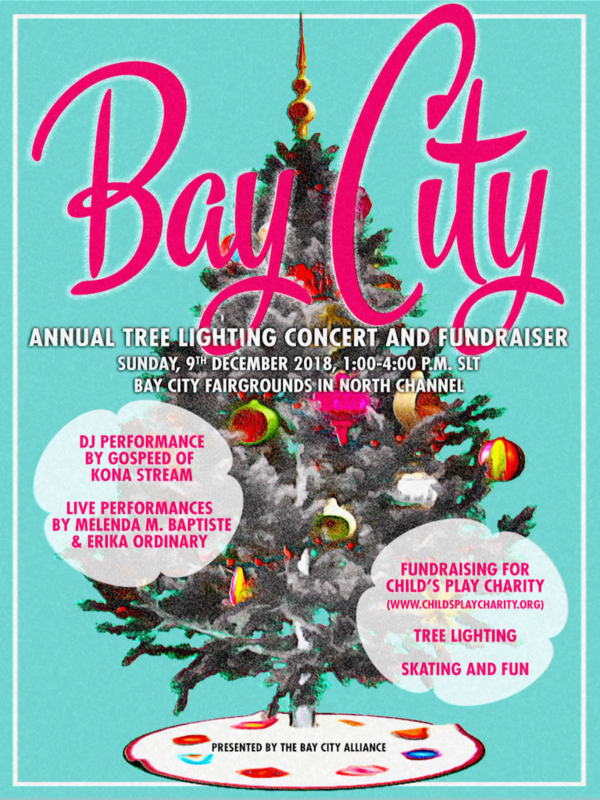 Bay City opened in May of 2008 to initial viewing, with parcels being auctions throughout the city soon after. 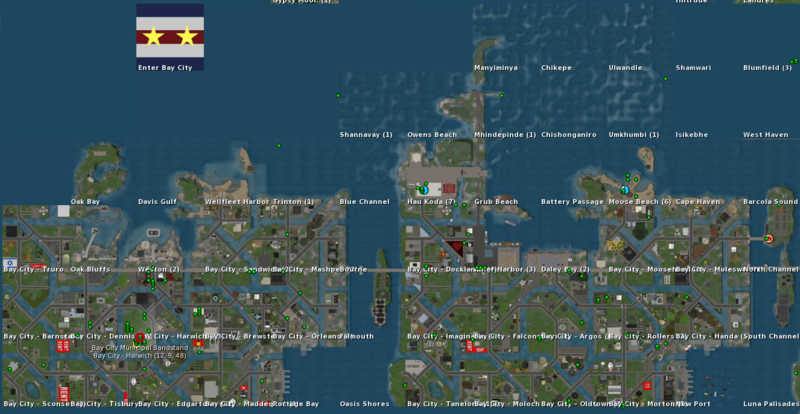 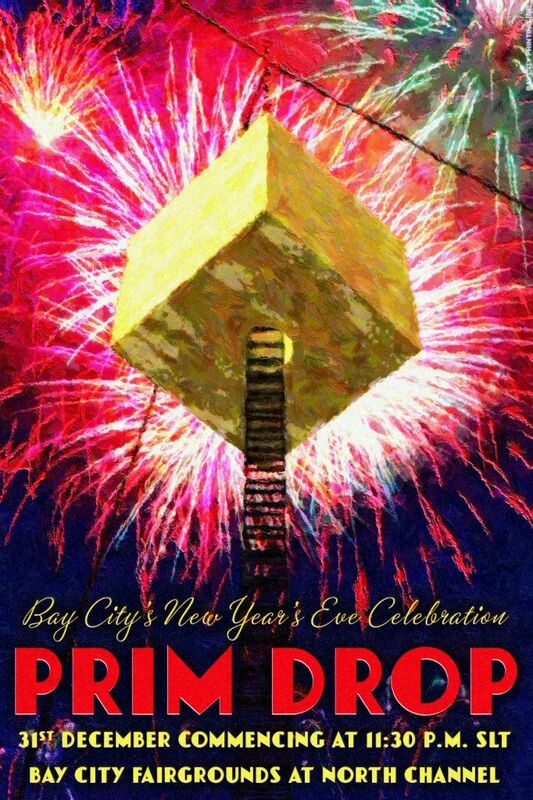 In 2011, it’s land mass doubled, as it absorbed the copy of Bay City that existed on the former Teen Grid. 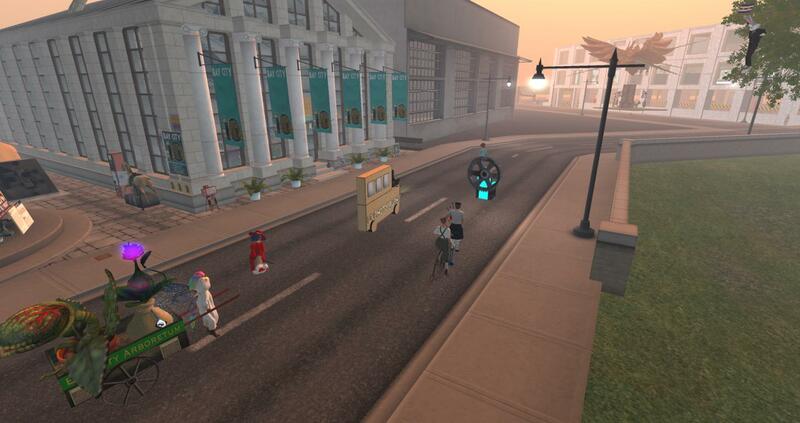 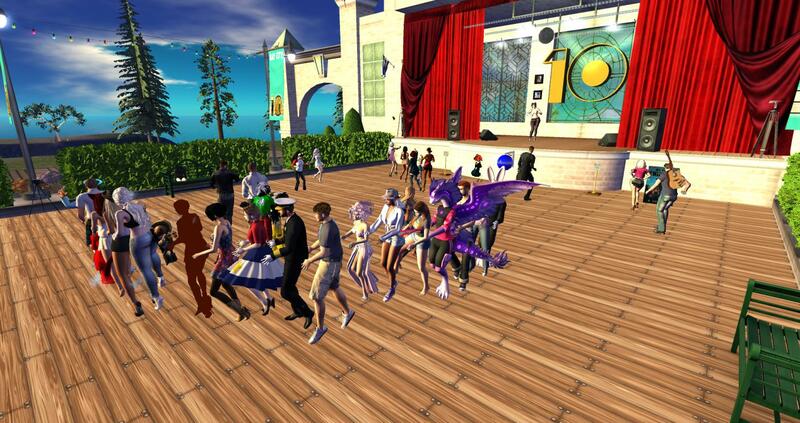 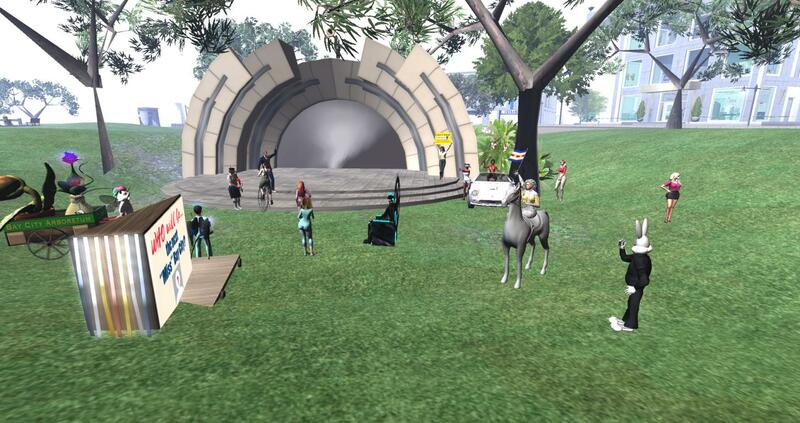 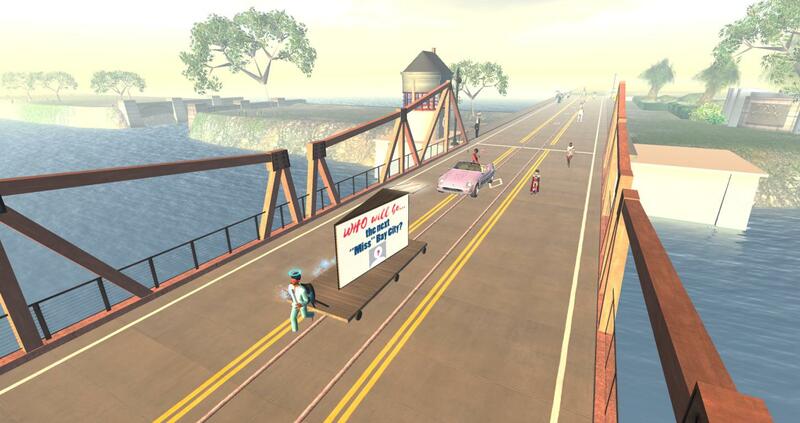 It has developed into the largest community-focused virtual urban area in Second Life. 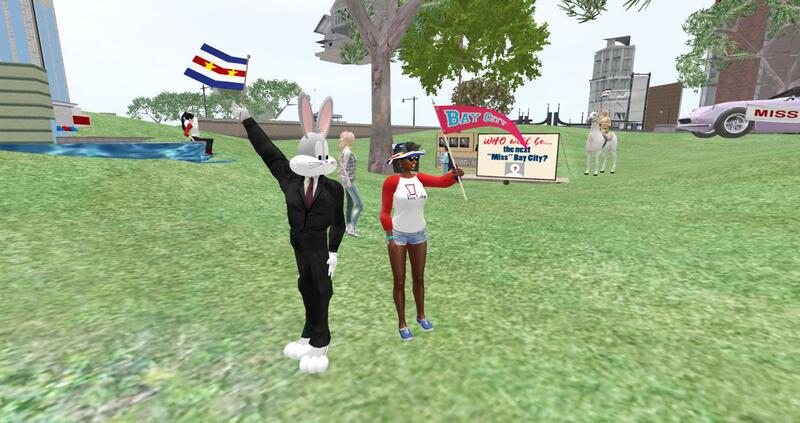 Parade participants are asked to gather at noon SLT/PDT on Sunday, the 21st of May, to lineup at the band shell in Bay City – Harwich. 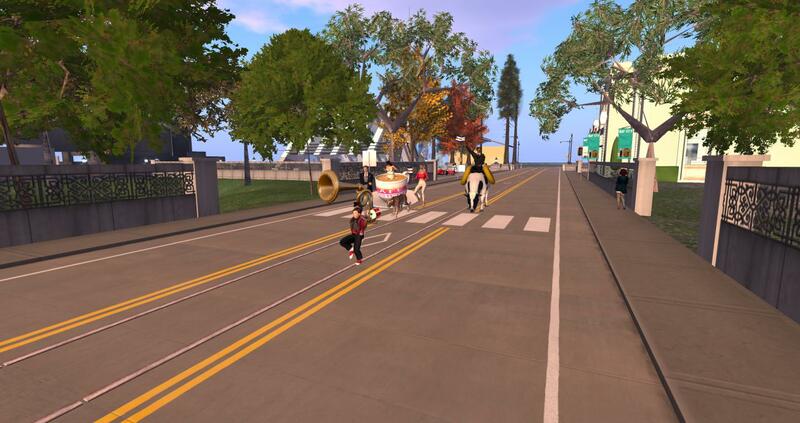 The parade will wend its way down Route 66 beginning at 12:30 p.m. SLT/PDT, and will conclude at the Bay City Fairgrounds in the North Channel region. 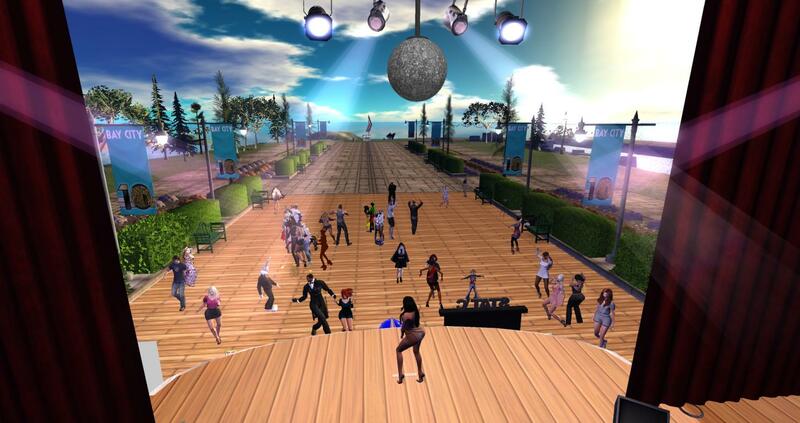 A live concert will kick off at 1:30 p.m. SLT/PDT at the Fairgrounds with DJ GoSpeed Rasere of KONA Stream providing music leading into the event until 1:30 p.m.SLT/PDT , followed by Parker Static from 1:30 p.m. to 2:30 p.m. SLT/PDT, Erika Ordinary from 2:30-3:30 p.m. SLT/PDT, and Stratus Mactavish from 3:30-4:30 p.m. SLT/PDT.